Democratic Congresswoman Ilhan Omar explained Tuesday that she was unaware of the anti-Semitic connotations associated with the word “hypnotized” in relation to Jewish people, which she used to describe the Israeli government back in 2012. It was sent during the Israeli Defense Forces’ eight-day Operation Pillar of Defense, during which they were responding to rockets being fired into Israel. 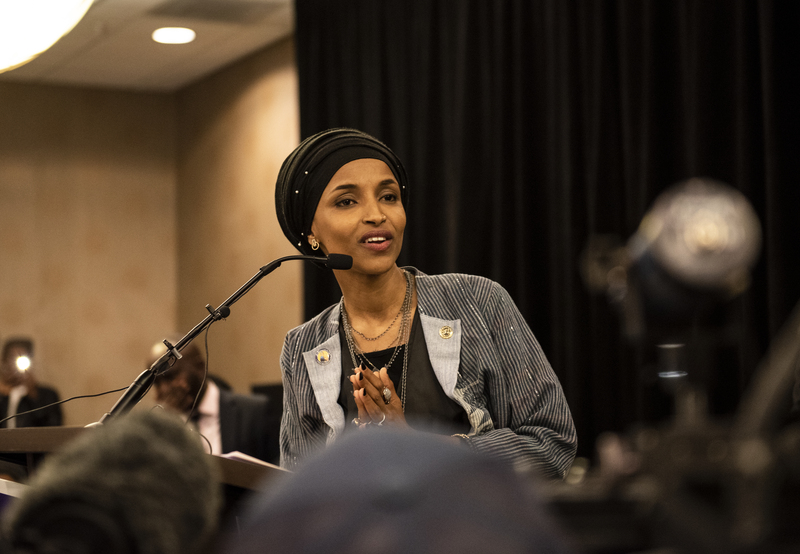 MINNEAPOLIS, MN – NOVEMBER 06: Minnesota Democratic Congressional Candidate Ilhan Omar speaks at an election night results party on November 6, 2018 in Minneapolis, Minnesota (Stephen Maturen/Getty Images). The congresswoman’s tweet quotes that line. She explains that she was in fact previously unaware of the negative connotations of the phrase she used. While she acknowledged the anti-Semitic trope she pushed, the Congresswoman never explicitly apologized for using it.